Membership is open to all resident and business organisations in Melbourne. We welcome any interested community group to join CoRBA. The Carlton Residents Association is a democratic, non-party political body. Its purpose is to act as an advocate of the residents of Carlton (defined by postcode 3053) and those who wish to preserve all that is good about Carlton. The Carlton Residents Association is a democratic, non-party political body. Its purpose is to act as an advocate of the residents of Carlton (defined by postcode 3053) and those who wish to preserve all that is good about Carlton. CRA represents your views at community level, and to government. CRA has many members from all over Carlton, including “Friends of Carlton” members living outside Carlton and sponsors who support our purposes. We welcome new members, since we aim to be as representative and inclusive as possible. Membership is not restricted to residents living in heritage houses. All residents are warmly welcomed. CRA provides opportunities to meet others in the neighbourhood and participate in the Carlton community. Quarterly general meetings are held with interesting guest speakers on a range of topics. Historically the CRA has been a strong force for the good in Carlton. In the absence of Ward Councillors, the CRA holds ‘the line’ on matters which concern us all. To promote Collins Street as part of the City of Melbourne for the benefit of owners and occupiers of properties and the operators of businesses within the defined Collins Street Precinct, with a view to maintaining and promoting Collins Streets unique image and position as the Premier Capital City thoroughfare. Furthermore to acknowledge the unique business, cultural and religious mix of Collins Street. The Docklands Chamber of Commerce is a group of local business people looking after the needs of local businesses. The Chamber shamelessly promotes business of Docklands: through advertising, networking and Business-to-Business promotions, acting primarily on behalf of our members. Together, the Docklands Chamber of Commerce is a strong voice for members, representing YOUR business needs. Docklands Chamber of Commerce listens to business and is the voice heard by the business and Government sectors. The Chamber has the ability to influence representatives of state or local governments, working with key stakeholders to ensure the issues driving economic activity and growth in the Docklands precinct are prioritised on the political agenda. 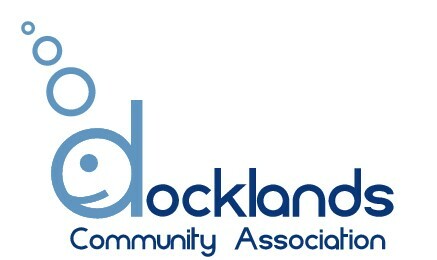 Membership of the Docklands Community Association is available to all residents in Docklands. The aim of the Docklands Community Association is to develop and promote a sense of community and a quality lifestyle for Docklands residents. 1. Taking a proactive role in developing and maintaining community infrastructure in Docklands. 2. To advocate on particular issues of concern to Docklands residents. 3. To be a forum for community decision-making and give fair and balanced community representation on issues pertaining to Docklands residents. 4. To create opportunities to celebrate the life of the community. 5. To foster links between individuals with common interests and concerns. 6. To be a conduit for the sharing of information. The East Melbourne Group work to preeserve, protect and improve East Melbourne. ‣Public parks, gardens, median strips and significant trees. EastEnders covers the area bounded by Bourke, Spring, Latrobe and Swanston Streets. The Kensington Association is a residents’ action and support group based on the suburb of Kensington in Melbourne’s inner north west. ‣Initiate and, where necessary, implement action which will assists the retention, integration, development and advancement of the social, cultural and community infrastructure, business activity and residents’ interests of Kensington. ‣Initiate and, where necessary, implement action which will assist in the protection and enhancement of the built and natural environment of Kensington. ‣Encourage such activities as are likely to help the people of Kensington to become constructively involved in matters affecting their life and work. ‣Provide effective means of approaching Municipal, State and Federal governments & other public authorities & instrumentalities. ‣Uphold the democratic process and the accountability of government and public authorities and instrumentalities. ‣Cooperate with others, both within and outside Kensington, who have similar interests and objectives. Accordingly, the Association should do all such things that are incidental or conducive to the attainment of these aims and objectives which are within its powers. For people who live and work in North and West Melbourne. The North & West Melbourne Association was founded in 1967 to work towards a better community: ensuring strategic and statutory planning meet local goals, protecting heritage buildings and streetscapes, improving parks, gardens, open spaces and the environment, improving community facilities, taking up social issues and protecting the local area from through commuter and truck traffic. Members of the Association work on these issues at local and government levels. The Parkville Association is a community organisation which aims to bring together and support the interests of all who live or work within postcode 3052. ‣Provide effective means of approaching public authorities in the interests of Parkville. Residents 3000 is an association of residents in the Central Business District (CBD) of Melbourne, the Capital City of Victoria, Australia. Our name comes from our postcode – 3000. Our aim is to promote the wellbeing, amenity and environment of CBD residents. We consult with City Council, other levels of government and with local businesses. We try to inform and assist city dwellers with their local issues and bring them together through our website, events and activities. A residents association in Southbank. The purpose of the Southbank Residents Association, as a democratic, non-party political body, is to act as an advocate of the residents of Southbank (being the residents of the area defined by postcode 3006), and to represent their views at community, local government, state government and federal government levels. Yarra Park [35.469 hectares] is part of the Melbourne Sports and Entertainment Precinct – the premier sporting precinct of Victoria. Located in Yarra Park is the Melbourne Cricket Ground and numerous sporting fields and ovals, including the associated sporting complexes of Melbourne & Olympic Parks. The park and sporting facilities are located in the inner-suburb of East Melbourne. In September 2009, the State Government, with Liberal backing, gave control of the park to the Melbourne Cricket Club and approved carparking. This usage causes degradation. The YPG seeks to arrest this.